Aluminum · Copper · galvanized Steel. Not just a metal roof, A Standing Seam Metal Roof. Tropical Roofing is the best in the business at standing seam metal roof fabrication and installation. Our standing seam roof system is lift rated to withstand hurricane force winds. Tropical is one of the only companies on the islands that conducts On-site fabrication. On site panel fabrication ensures a more accurate fit, more efficient installation, and faster project completion times. Standing seam continuous panels run from the ridge all the way down to the eaves. The panel seams are connected by fasteners which are raised above the level of the metal panels. The standing seam provides fewer joints than alternative roofing systems with the raised joints resists moisture penetration from the weakest point of any roofing system. 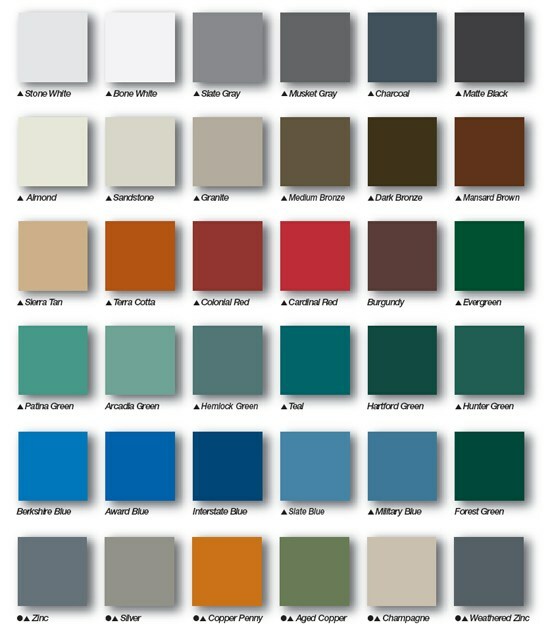 Tropical Roofing offers a wide variety of standard metal colors and have the ability to special order an extensive color offerings. Homeowners who select a standing seam metal roof can expect to get 30-50 years our of their roof. Metal is strong, really strong; however depending on where you live metal roofs may be damaged by falling heavy branches and may be dented by large hail. Your proximity to the ocean should also be considered when choosing the type of metal roof selected for your property.